The Classic Treatment is the Signature Treatment from which all others are derived. Your Certified Dr. Hauschka Esthetician will personalize the approach to this treatment based upon your skin's specific needs as well as your desired results. The treatment begins with deep relaxation: A warm sage foot bath and gentle stretching movements for the neck, arms and hands. Lavender-infused compresses introduce you to a holistic facial that includes two mask treatments to nourish, nurture and renew. 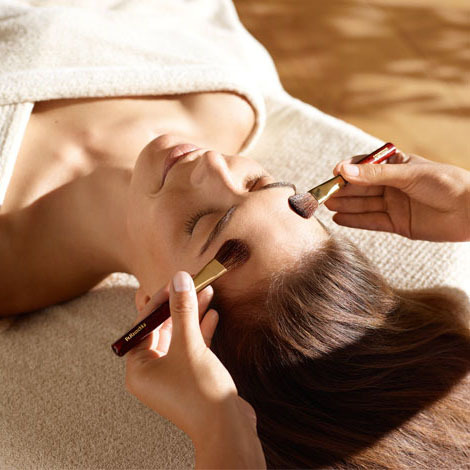 Soft brushes are used to stimulate the skin's natural balancing and regenerative impulses. The result is a radiant complexion and a remarkable feeling of lightness and inner balance. This is an ideal treatment if you are seeking true relaxation and visible transformation.